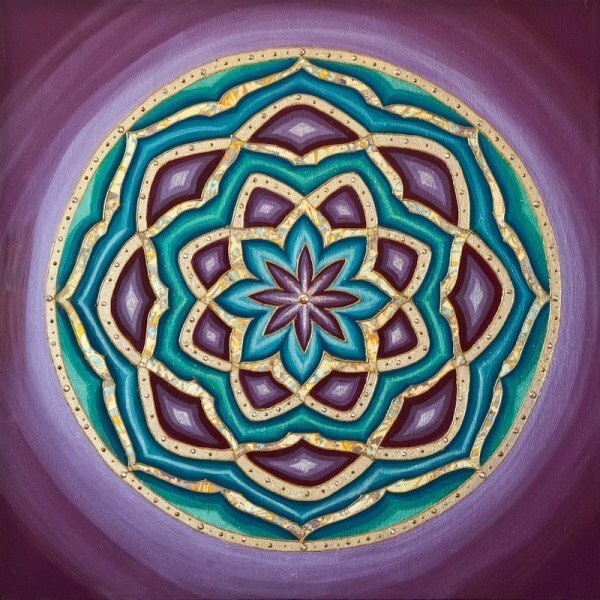 Magenta Joy | Artwork – Store – Tammi B. Ph.D.
Hand painted mandala 20" x 20" acrylic, mixed medium, gold leafing and Swarovski crystals. Girls just want to have fun! I had a class with all girls and my intention was to connect, laugh, celebrate and have play! And we did in a BIG WAY!